Trucks are naturally heavy. It just comes as a standard part of the package. Too bad nobody sent that memo to your F150's factory brakes. 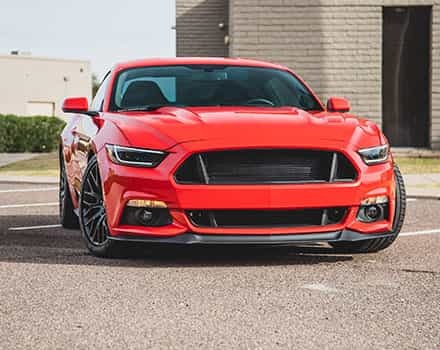 Your factory brake pads and rotors struggle bringing a bone-stock 2012 to 2014 F150 to a decent stop, especially after putting a good amount of miles on them. Let's not even talk about towing or hauling where the stock brake pads and rotors do almost nothing for your powerful F150 truck. To get your truck excellent braking performance, especially when towing, hauling, or anything else that you'd expect a truck to do, you'll need this awesome F150 brake kit from our friends over at Power Stop. 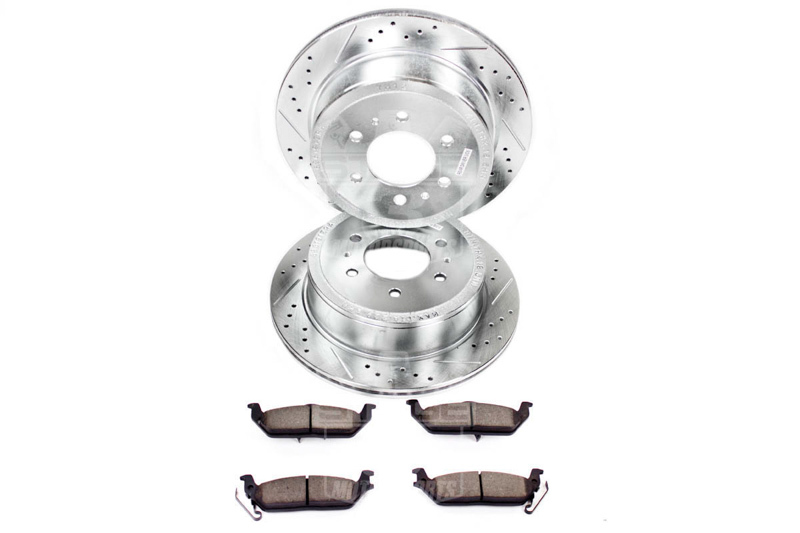 This complete braking system comes with a full set of Power Stop's legendary rotors that are combined with Power Stop's excellent Z36 Extreme truck and towing brake pads that give you the stopping power and greatly reduced fade your F150 needs when getting thrown around off-road or while towing and hauling all of your awesome gear. 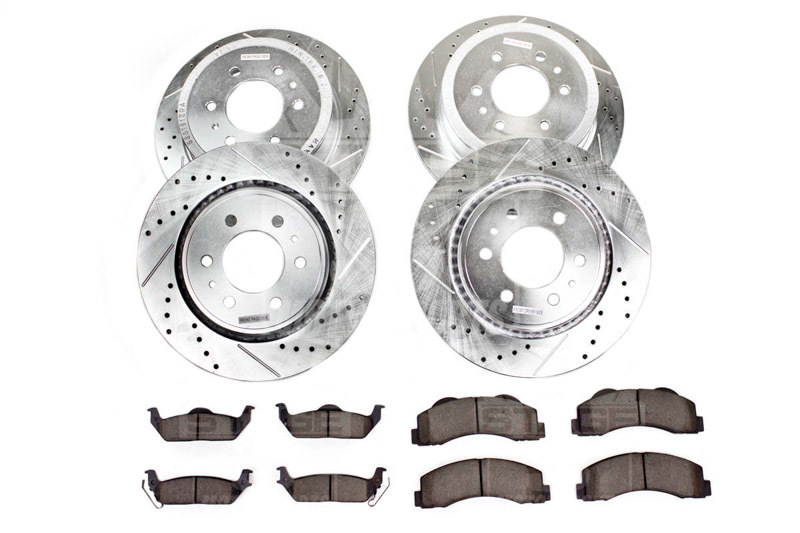 The kit's braking components bolt on right in place of your truck's stock brake rotors and brake pads, making it extremely easy to give your truck the braking performance it actually deserves. 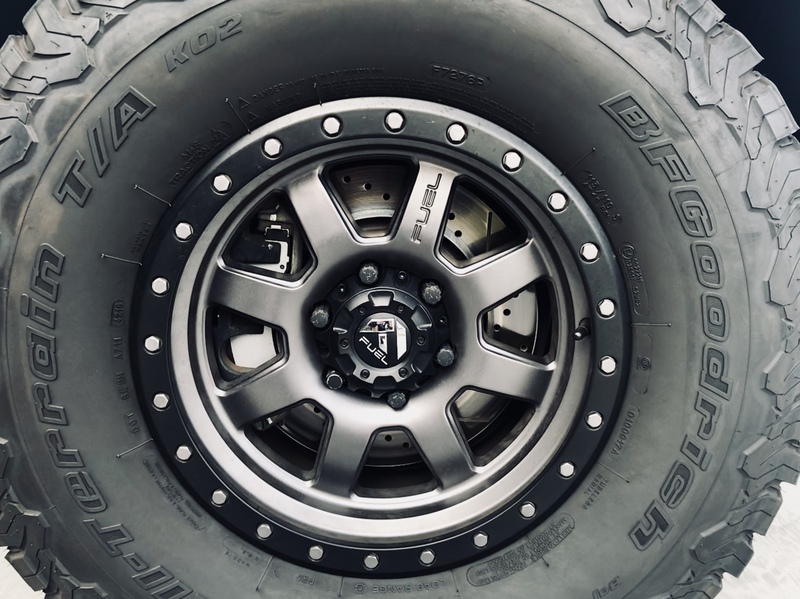 Like all of Power Stops' extreme impressive brake kits, the Truck and Tow Extreme package is centered around a complete set of four cross-drilled and slotted performance brake rotors. 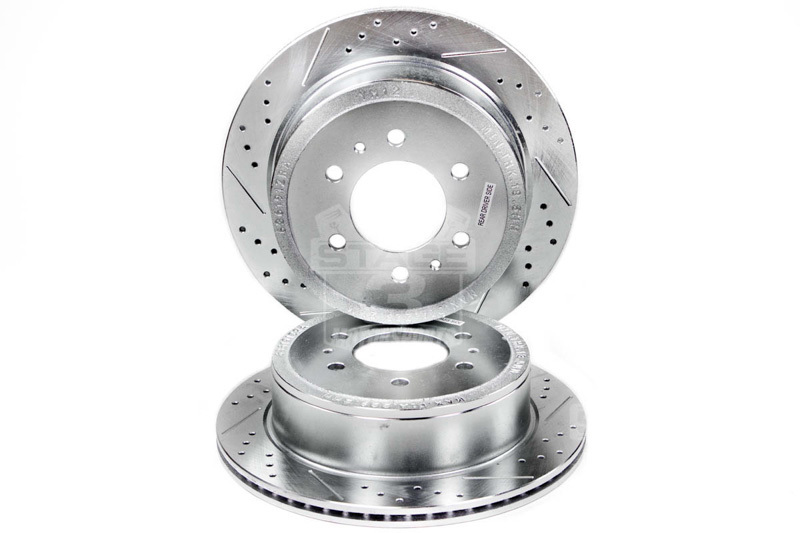 These rotors were carefully designed and constructed from the ground up to deliver improved stopping power and less fade in basically any application. Each rotor's cross-drilled holes are CNC machined and drop-down into the rotor's directional vanes to dissipate heat generated by heavy braking and decrease operating temperatures by up to 180 over stock. 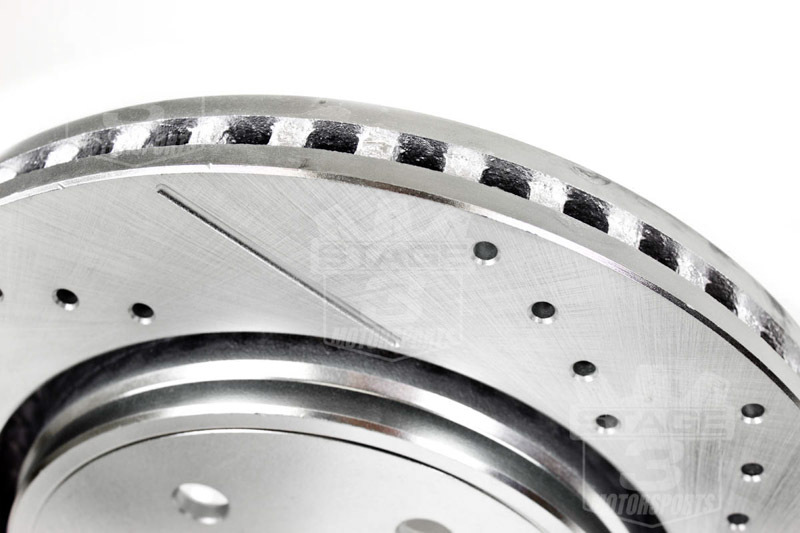 The cooler temperatures lead directly to massively less fade than your factory brake rotors, giving you more consistent brake operation under heavy use. 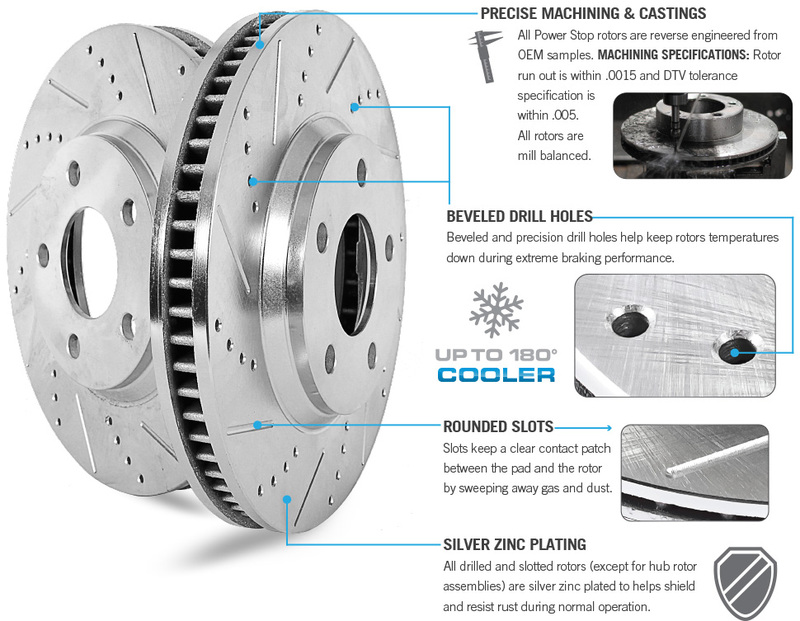 The specially-placed slots on the surface of each rotor clear away brake dust and other debris away from the pad's contact area to give your truck more consistent bite and braking performance. The rotors come in a brilliant zinc dichromate finish for an awesome look and some extra corrosion resistance. 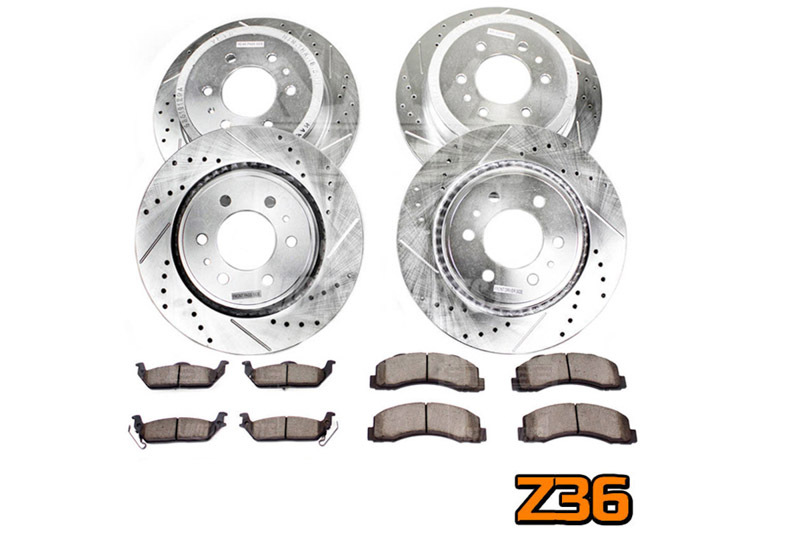 The pad's included in this kit were made and designed especially for light truck and towing applications that require more stopping power and less fade than Power Stop's Z16 ceramic pads can provide. 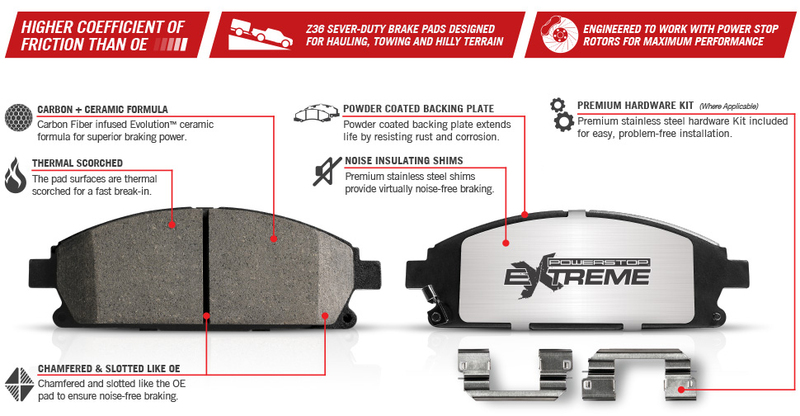 The Z36 Extreme truck and towing pads feature a powerful carbon fiber and ceramic compound that provides a huge bite, excellent stopping power, and extremely low levels of fade all in one brake pad design. 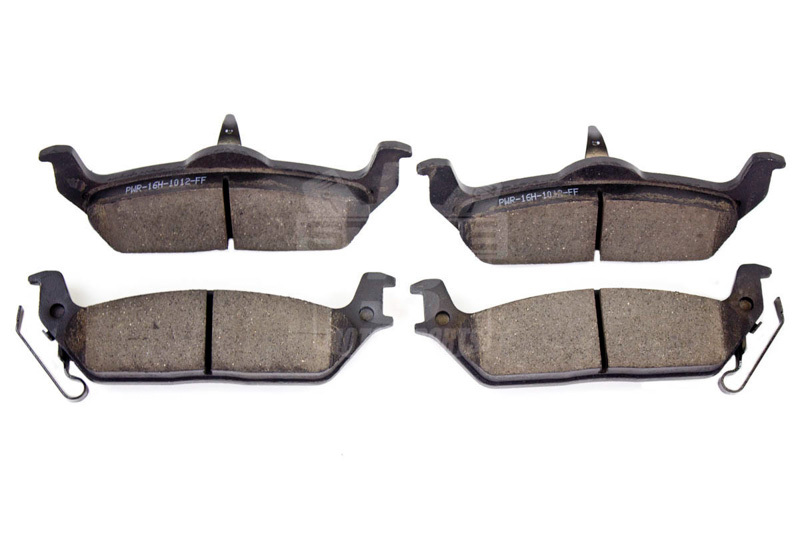 The pads offer up to a 17% increase in friction coefficient than your F150's factory semi-metallic brake pads all while doing a more adequate job of dissipating the heat builup that occurs during the heavy and sustained braking from towing and hauling applications. 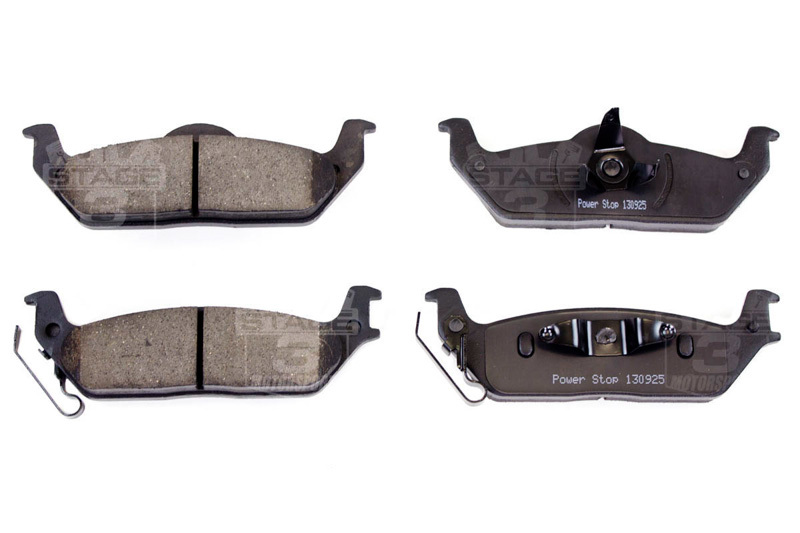 Each brake pad comes with a high-quality stainless steel shim to help keep noise down to a minimum. 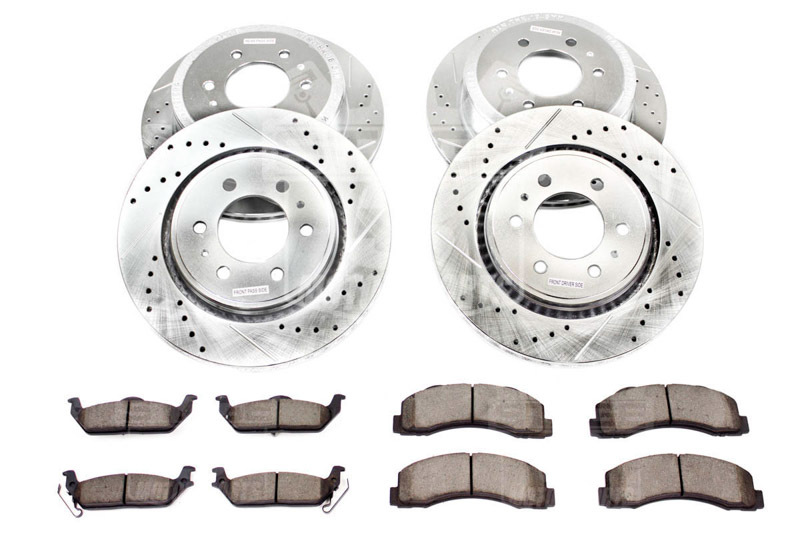 The kit comes with a complete set of front and rear brake pads that directly replace your truck's factory pads and fit your F150's stock brake calipers. Rotor Size: Factory rear 13.70" and front 13.78" replacements. This brake kit will only fit trucks with 6-lug hubs. Power Stop Extreme Bedding Note: The break in procedure is critical to brake performance. 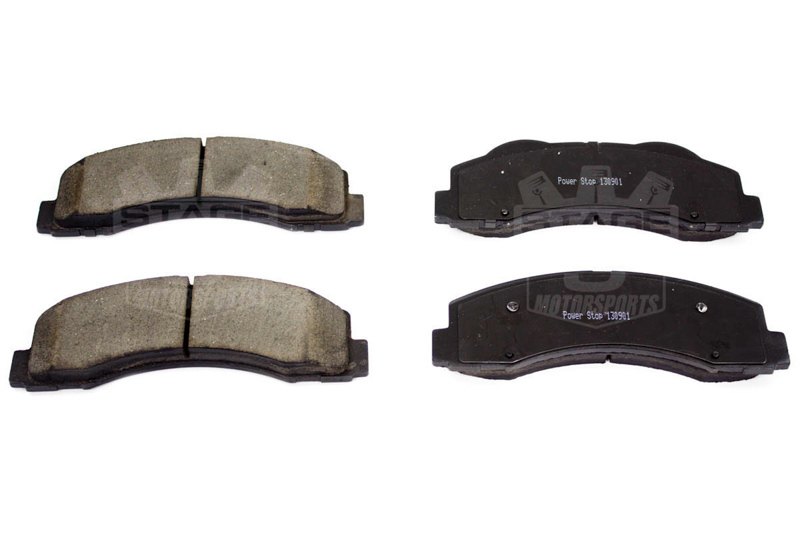 The reason for a proper break in is to establish an even layer of friction material deposited on the rotors from the brake pads. It is very important that this initial layer of friction material is evenly distributed. Break in the pads as follows: 5 moderate to aggressive stops from 40 mph down to 10 mph in rapid succession without letting the brakes cool and do not come to a complete stop. Then do 5 moderate stops from 35 mph to 5 mph in rapid succession without letting the brakes cool. You should expect to smell some resin as the brakes get hot. After this is complete, drive around for as long as possible without excessively heating the brakes and without coming to a complete stop (Try for about 5 minutes at moderate speed). This is the cooling stage. It allows the heated resin in the brake pads to cool and cure. After the brakes have cooled to standard operating temperature, you may use the brakes normally. I purchased a set of the Z23 brake rotors and pads from S3M and installed them myself. In the initial run to seat the brake and break in the coating as the instructions say, I found that the front right brake was dragging. I disassembled the pads from the caliper and then put it back together. I also checked the rotor for proper seating on the hub. All seemed fine. I drove it again and the brake was still dragging. I took it apart three more times and couldn't find a problem, so I turned it over to my local auto repair. He found that the pads are designed differently for inner and outer pad. No markings to indicate this on the pad nor in the instructions provided by S3M. That cost me $118 for them to correct. S3M needs to mark the pads or note that detail in the instruction sheet. They are good brakes once assembled correctly. Instructions were easy to follow, install was a breeze. We have quite a few grades in our area and pulling a horse/trailer coming down 6 percent grades I couldn't ask for better braking. They are the best. This is my second time ordering these. First set lasted 40k and could have been turned but it was cheap enough just to order another set. Excellent upgrade over stock. Great stopping power while towing 7000 lbs. Great Product...works great and I have increased my stopping ability...and decreased my stopping distance. Item installed without issue...very easy. Purchased the Z36 kit about a month ago. The price was hundreds less than comparable kits from other dealers. The quality of these parts are better than OEM. The truck stops much faster with a reassuring solid feel everytime I apply pressure to the brake pedal. The system is whisper quiet and gives the truck a performance look. From the second I opened the box, I knew that I had made the right purchase. I would buy again. Very good brakes! I tow 12k+, really appreciate the stopping power. Brakes feel the same as stock. Didnt squeek initally after the break in but 1k miles later they are loud when breaking to a stop or backing up. Overall not impressed but service was good and shipping prompt. Haven't towed the boat yet, the brakes are markedly improved. Very solid and excellent stopping power. Would recommend. Great product and easy to install. Brings my truck with 35' tires to a smooth stop everytime. Much better than stock rotors. Install time was average for brakes, Power Stop components went on very easy with a OEM grade fit. Everything showed up relatively damage free, rear pad box was crushed during shipping I think this was due to the fronts being stacked on it. Product works great stiffened up the pedal and shortened my stopping distance greatly. Break in procedure was very easy just make sure you have a low trafficked road to do it on. The install instructions and stage three videos miss a crucial step to remove the rear rotors how ever as I had to adjust my e-brake shoes in to successfully remove the rotor then adjust them back once completing the job. Also noticed a rubbing noise that has been diagnosed as a brake shield rub that will be adjusted out of the way. These were on sale AND Free shipping was great, both packages were over 50 pounds, Everything arrived quickly on time and was packaged undamaged. The boxes were labeled individually and the inventory sheet described what numbers were fronts and rears. Each rotor was labeled individually also with stickers. The pads for the front were labeled inside and outside, and although it came with little packets of grease it wasn't enough, so I would pick a little extra up. Mine unfortunately didn't come with any instruction packet, and this was my first time doing this, but after watching a few videos and talking to a few friends it ended up being pretty straight forward, with a trip to the store, using a tiny crank jack doing one at a time and drinking a few cold ones it took me like 4 hours. All the parts had a nice, OEM like fit, no issues with fitment whatsoever. Make sure you lube up good, otherwise youll have some break noise. I dont tow much, I do some light off road but these were the same price was the Z23s so I just went ahead and got these for the better performance. I could tell a big difference, but my stock pads were down to the metal is some places and my rotors were kinda rough too, it feels like a much more consistent, firm breaking that reduced vibration or pulsation I was feeling and took away the fade. The only issue I ran into was when I compressed the first caliper piston I had break fluid overflow from my master cylinder, I opened the cap and siphoned some out with a syringe, this was probably cause I just had the master replaced and it was overfilled to begin with. Definitely recommend, if you're fairly handy I would install yourself, i got quotes on install and they ranged from 2-400. Easy install time about 1 hour. These brakes are an extreme improvement over the factory ones. Was having trouble stopping my big 25's. Not anymore now I stop on a dime. They look good also. Installation was easy. The Louisiana heat slowed me down some. Overall, the brakes seem to really bite when I need them to. I have not slammed on the brakes since the break in period, but I have noticed that less pedal travel is needed to stop in a semi-quick manner. 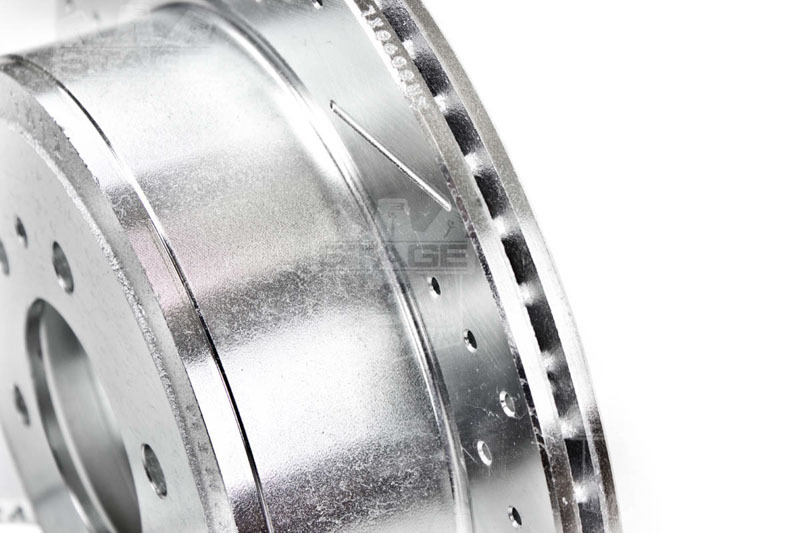 Now, I did notice small imperfections in the rotors machining process. It was not horrible imperfections, but not perfect. I have not noticed any negative effects from the small imperfections in the rotors. Honestly, I struggle to see them once I broke in the brakes. Overall, I would purchase again. I believe they deserve a 4.5 star rating. I have yet to tow my boat so no input on towing yet. Great product. The break in sequence was easy to perform and the truck stops considerably better than stock now. After 83K miles, my truck was needing new brakes. At $438, it was a no-brainer. Install was straightforward. I highly recommend these for anyone needing new brakes. They are a nice upgrade to the truck. Brake instructions were easy to understand and follow. Did ALL 4 rotors and pads (Z36) in an afternoon. Followed break-in instructions and brakes have been working great for over 1 year. Vast improvement in stopping power over OEM. No dust problems. I will definitely use them again. Perfect Fit and simple installation. Worst Part was getting the crappy factory lug nuts off. 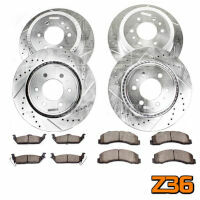 Excellent package and stopping power for the money! Great product! This is the 2nd set of PowerStop brakes, first time through Stage 3. Shipping was fast and order was correct. 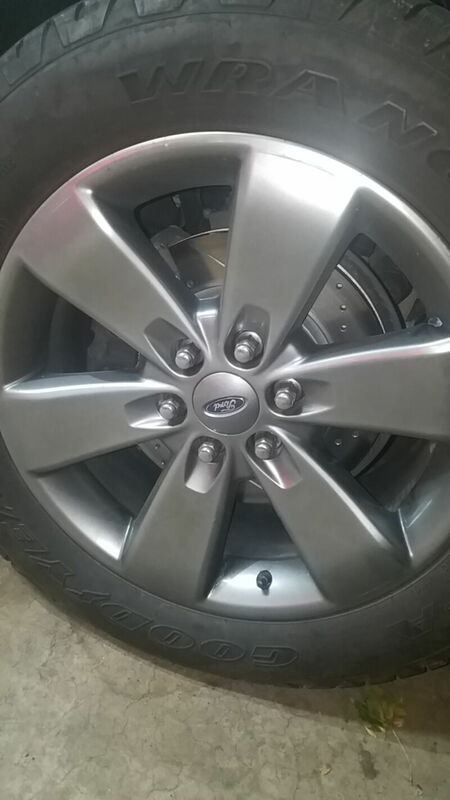 Had these on my 11 F-150 if you have a set of rims you got at show off the brakes. Plus these really bite when needed. Install bout 2hrs with garage jack and stands. Hi. 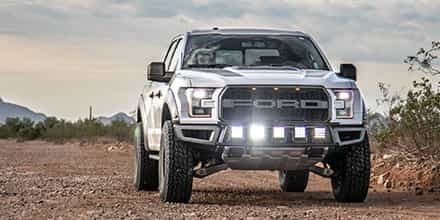 Is this kit compatible with my Ford F-150 limited ecoboost 2013? 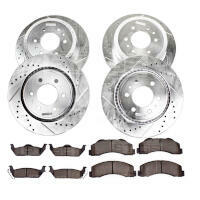 This kit will fit your truck and all other 2012 to 2014 F150s regardless of submodel or engine option. Was this answer helpful? 30 of 30 Found Helpful. Hi, are these brakes really metallic or semi-metallic? The Z36 brakes elsewhere show these as being ceramic, not metallic. 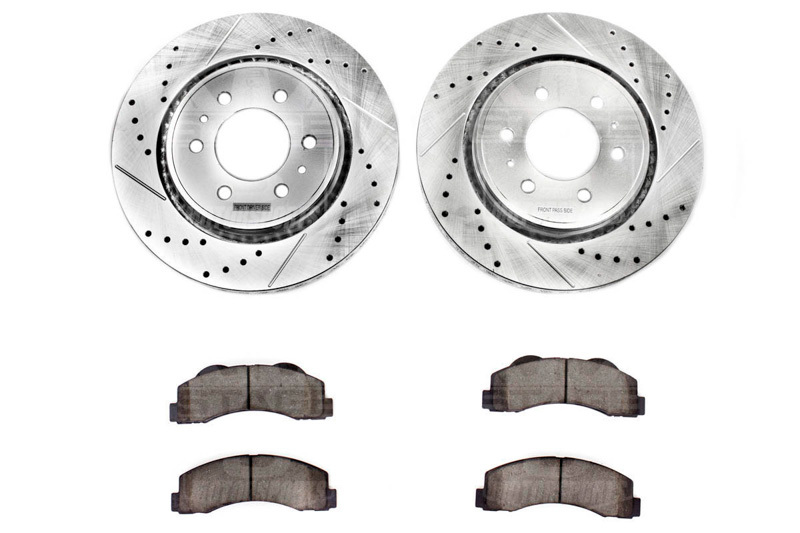 Also, the power brake website has these as ceramic, not metallic. Thanks. 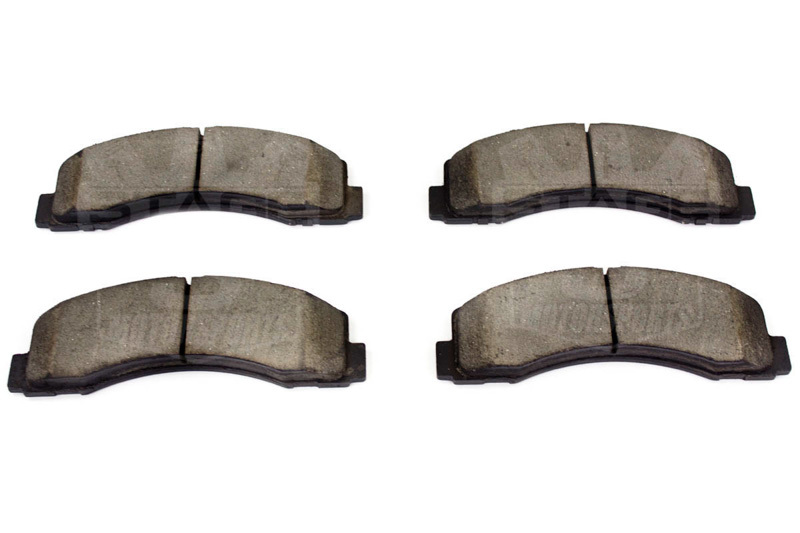 They used to use a metallic friction compound, now these pads feature a carbon-fiber infused ceramic compound. Was this answer helpful? 10 of 10 Found Helpful. The answer has more to do with what you're doing with the truck, rather than its package options. 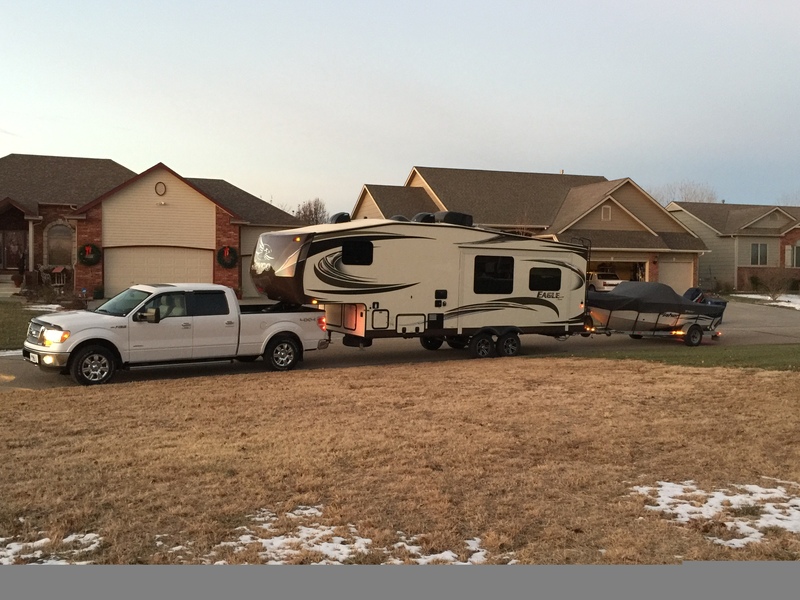 If you're towing and hauling on a regular basis (especially fairly heavy trailers, campers, toy haulers, etc), then you should probably do the Z36 kit just to get that extra stopping power when hauling. If your truck is primarily a street truck, commuter vehicle, general work truck, etc. 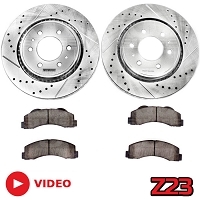 then you should probably do the Z23 package as those pads aren't quite as hard on your truck's rotors and will give them a bit better of a lifespan. How many miles can I expect these pads to last ? 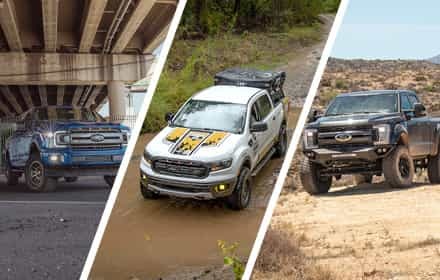 That depends on a ton of other factors such as your driving style, whether or not you off-road, and how much/how often you tow. Under ideal conditions, you could see a good +30K, but again, there's a lot of contributing factors. 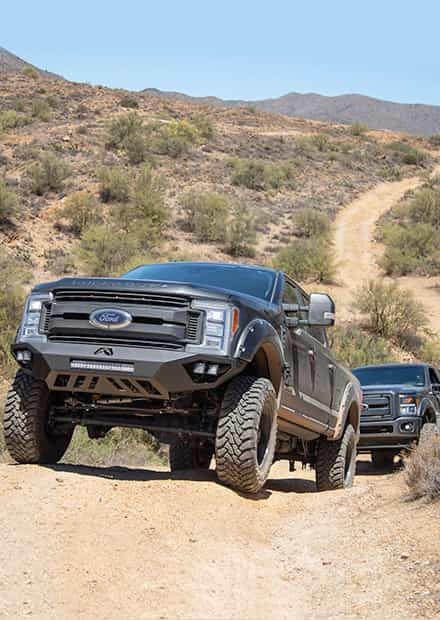 Will the Z36 extreme truck and tow kit fit my 2011 raptor? 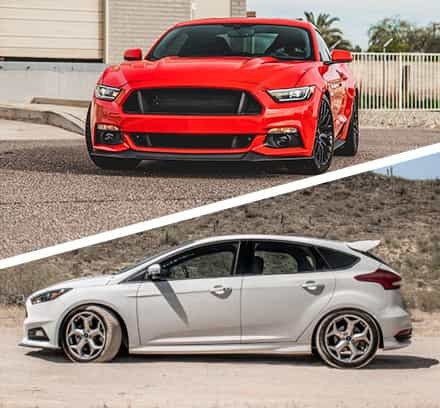 No, this kit is specific to the 2012 to 2014 F150s and SVT Raptors. 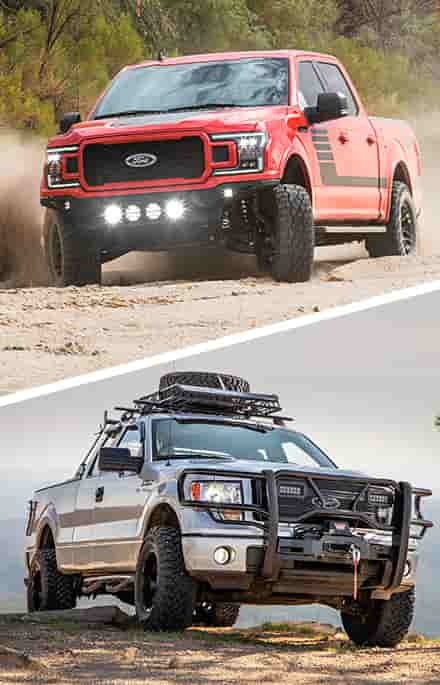 The kit you need is the version for 2010 to 2011 F150s and Raptors. 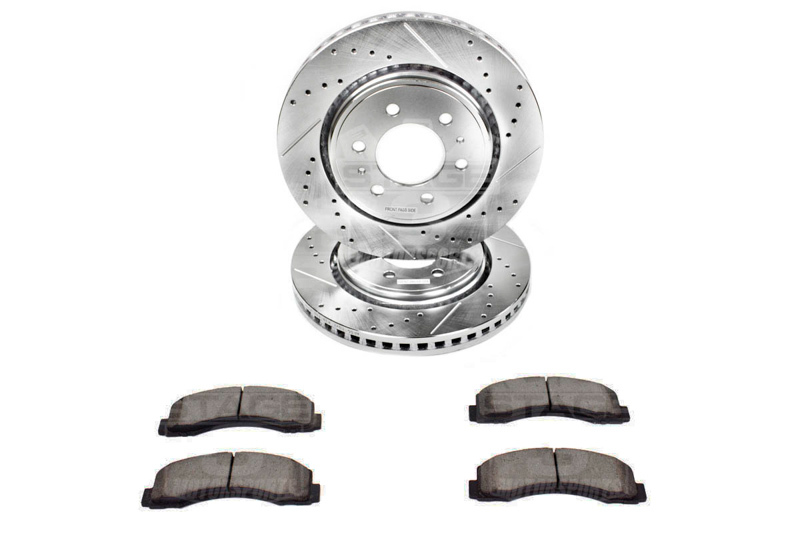 This kit consists of stock-replacement brake rotors and pads and will fit behind your F150's wheels. My biggest concern is brake dust. I understand that we cant eliminate the problem altogether, but looking for a pad that will help keep the dust down to a minimum? 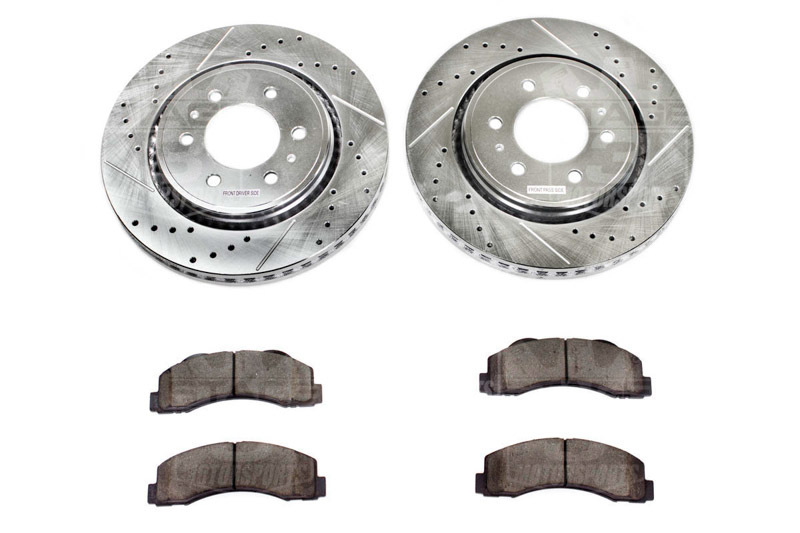 This kit has much lower brake dust generation than the factory pads thanks to their ceramic/carbon-fiber friction compound versus the factory semi-metallic pads. 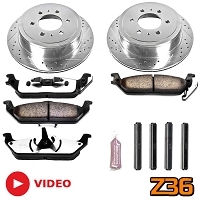 Granted, the equivalent Z23 Kit for your truck will produce slightly less dust since their compound is slightly less aggressive and easier on the rotors, though they have slightly less bite and overall stopping power than the Z36 truck & tow pads. Hi, Could you please advice whether the kit can fit a Ford 150 series 2013 model ? 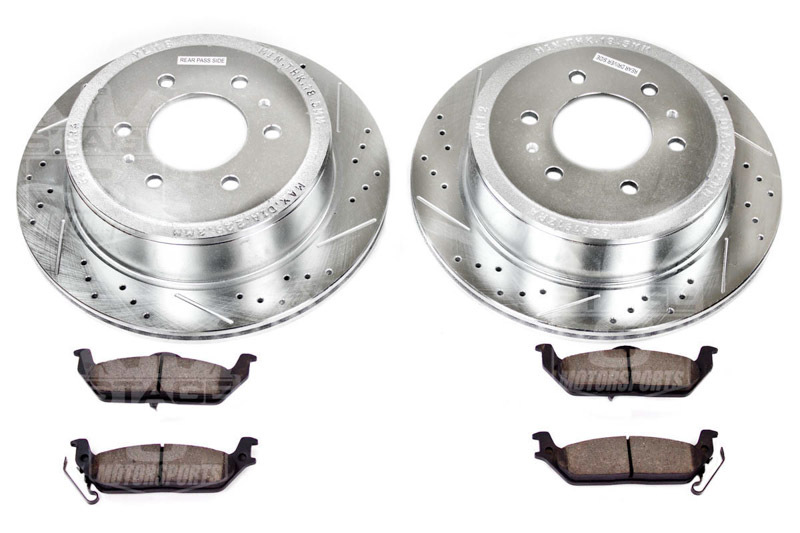 This kit will fit 2013 F150s with stock brake calipers. For the latest availability information, please call us directly at 1-877-578-2433. Hey I was wondering if this part will fit a 2012 Ford F-150 fx2 ecoboost? Yep. 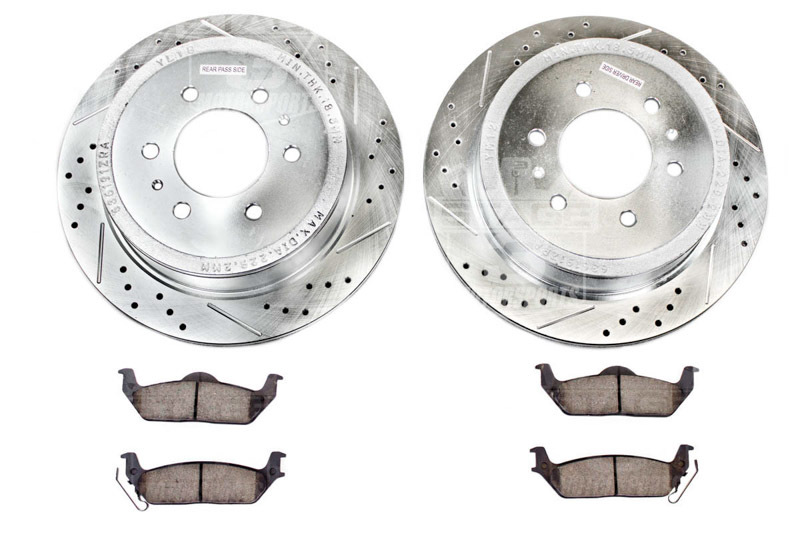 This brake package will fit all 2012-2014 F150 6-Lug trucks, regardless of submodel.